Good things come to those who wait, they say! 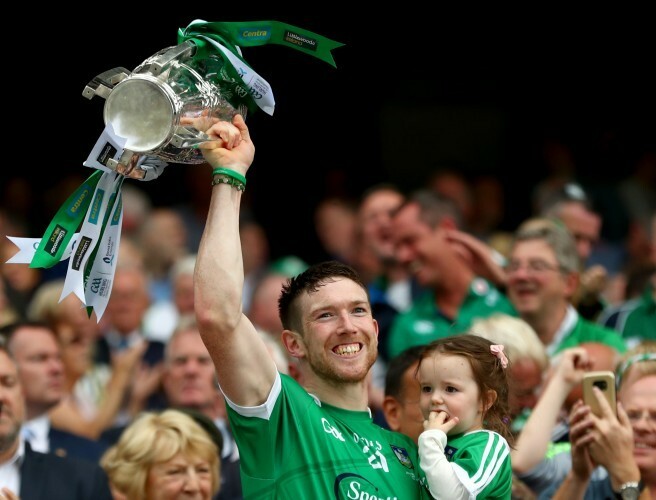 And that's the case for Limerick and veteran Seamus Hickey. While Limerick bridged a 45 year gap to win the All Ireland Hurling Championship on Sunday, Hickey has soldiered on for 12 years in the senior panel, including losing the '07 final to Kilkenny. Now, with the All Ireland medal around his neck, the 2007 Young Hurler of the Year joined Joe Molloy to express his delight at securing success. Hickey paid tribute to manager John Kiely and the collective. "I think he hit the notes that needed to be hit and running into the final, there wasn't even a whole pile of room to be thinking about all the different things on personal note or anything like that," he said of how Kiely kept everyone at an even keel rather than getting caught up in the evident emotion in the build-up, before touching on what changed. "I found this year more than anything, you get lost in the group. You lose the eye and you just become part of a unit that is well drilled, well versed, knows what we're doing and it was a breathe of fresh air really. "Afterwards, I thought straight away that Gavin O'Mahony, James Ryan had just retired, guys that I'd played with since under-14 with, guys who had given everything. "I met Stephen Lucey, Brian Geary our selector. The list is exhaustive. You go back to the '90s, Ciaran Carey was there on Sunday and these are great, great Limerick men, great Limerick hurlers and I'm privileged to have a Celtic Cross." You can watch the full interview with Seamus Hickey on YouTube or listen back in full on the podcast player.